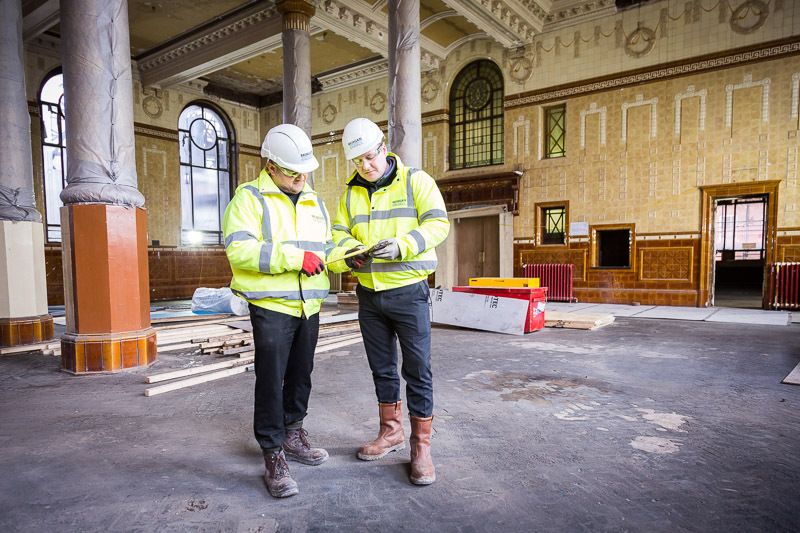 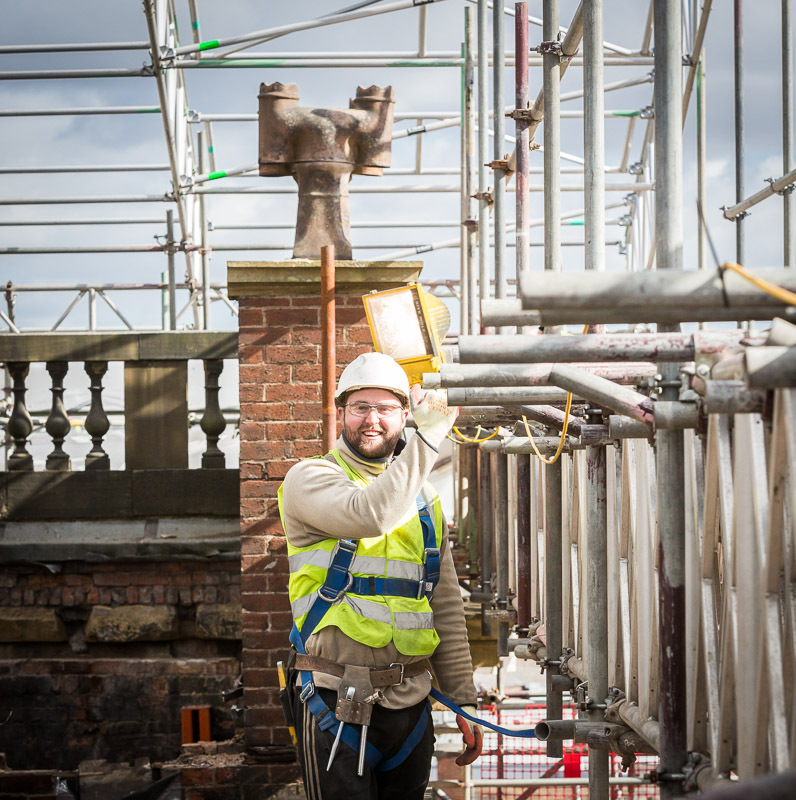 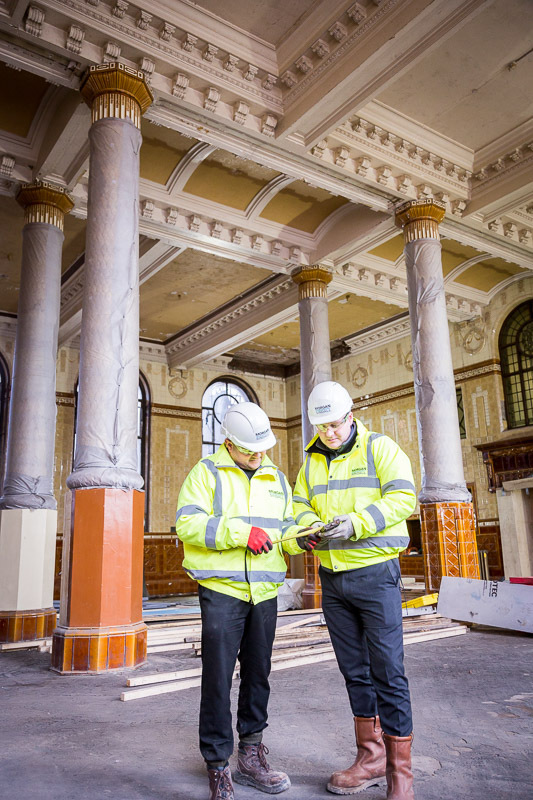 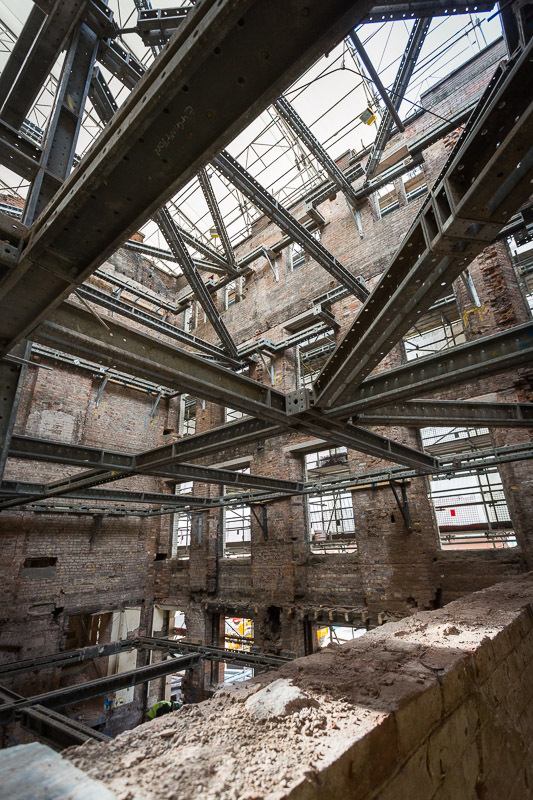 Restoration and internal support works was on going at the Oldham Old Town Hall project, undertaken by construction firm Morgan Sindall. 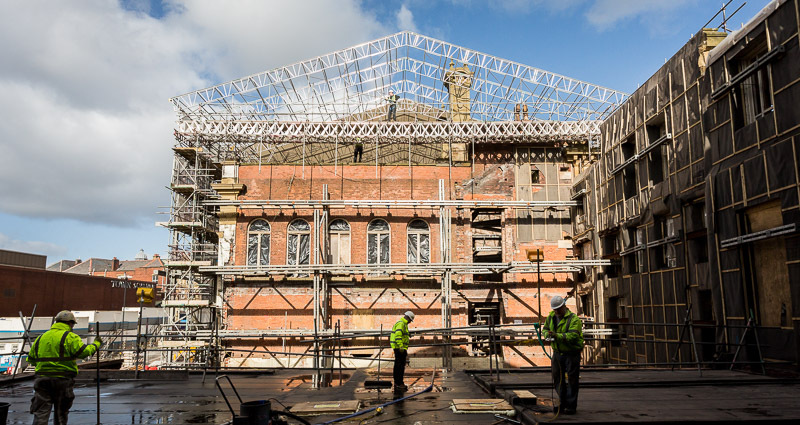 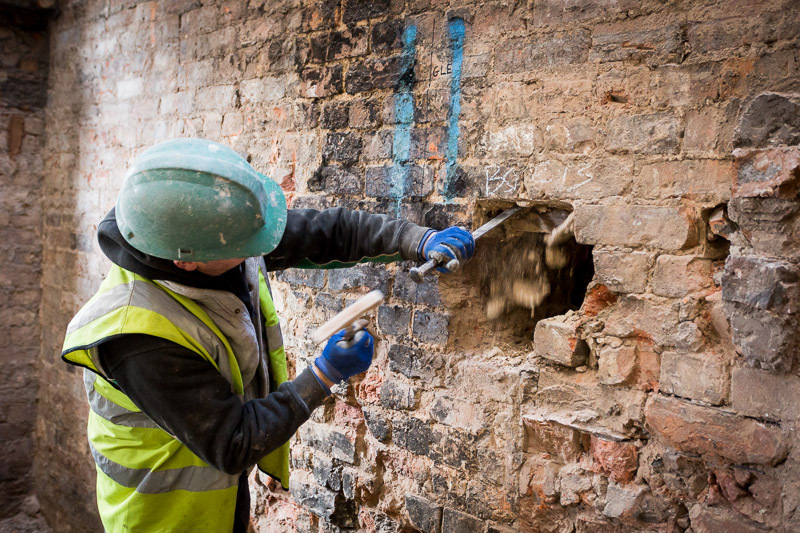 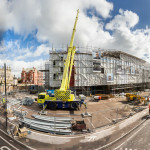 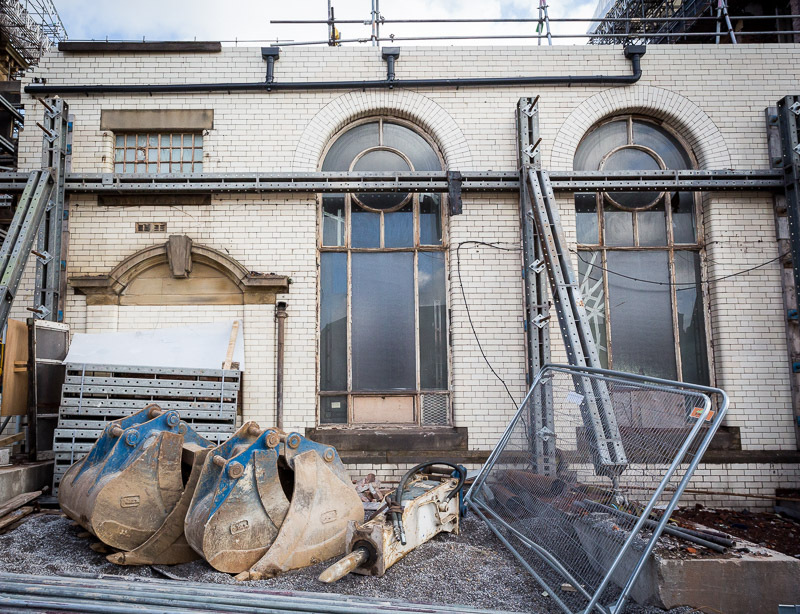 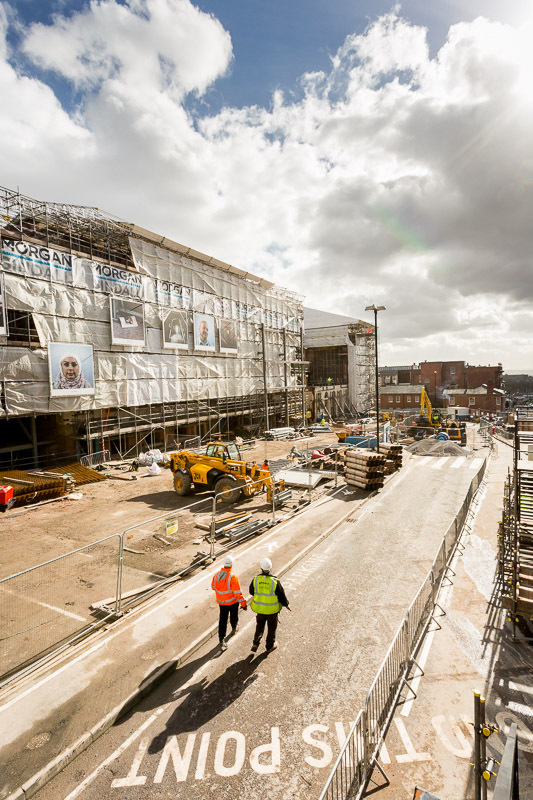 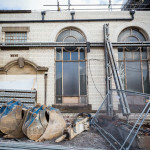 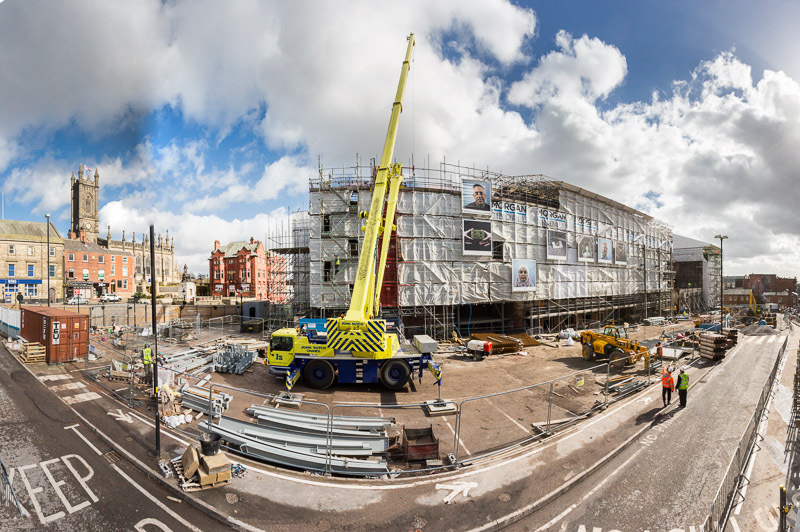 They are working to transform the historic Grade II-listed building into a seven-screen cinema with six restaurants and is set to complete in spring 2016. 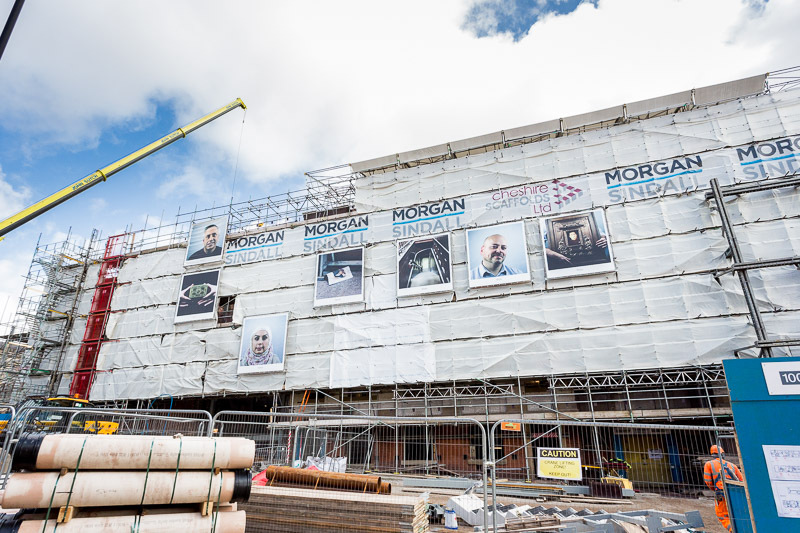 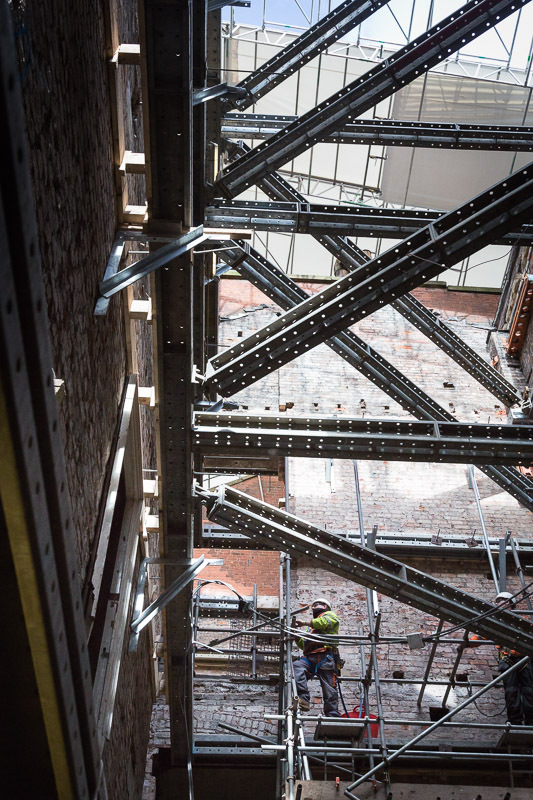 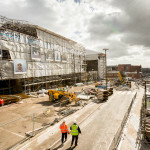 The project requires strong imagery to demonstrates Morgan Sindall’s commitment to preserving and supporting the fabric of the building; recording the internal bracing and external buttresses. 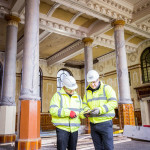 Photographs are necessary to record other significant details of the project and to provide an on going record to interested Council parties. 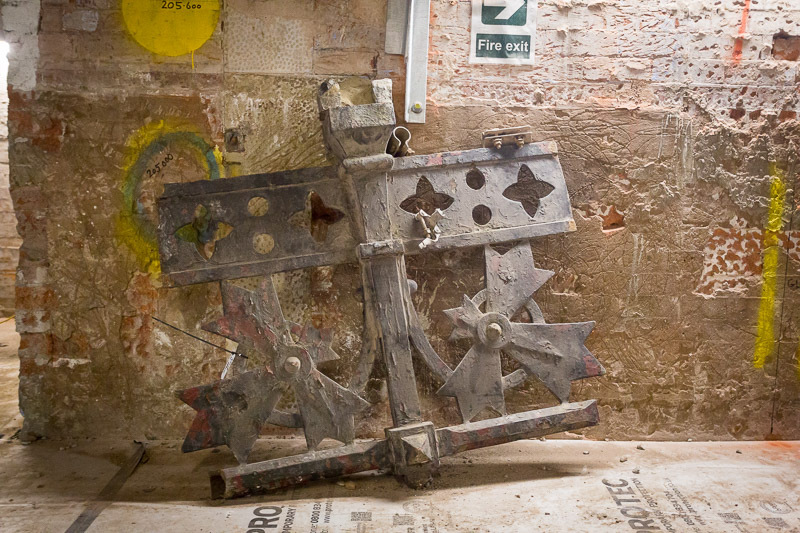 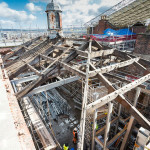 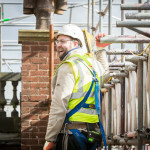 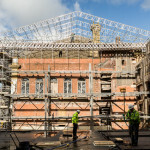 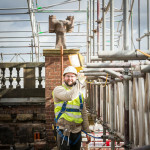 Images are required to show the major extent of works ongoing to restore and rebuild the Old Town Hall roof and cupola, and to brace the interior of the building. 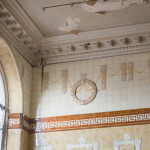 Also required, internal images of the Egyptian room which has now been cleaned prior to a major heritage refurbishment. 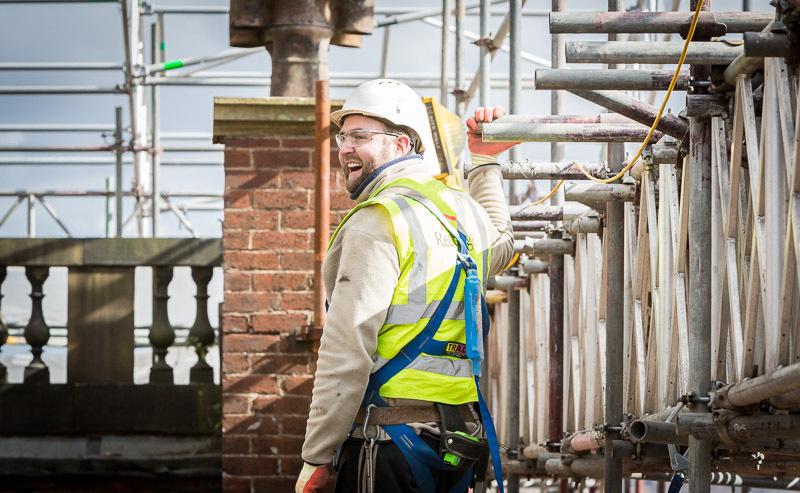 After a check of our CSCS credentials and a brief site induction, we donned our PPE and headed out to site. 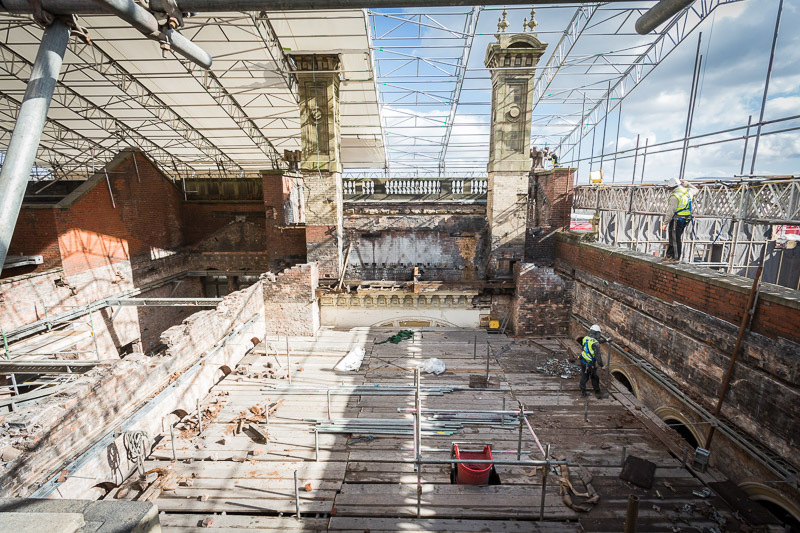 We worked methodically from the top of the site down to finish at the Egyptian room. 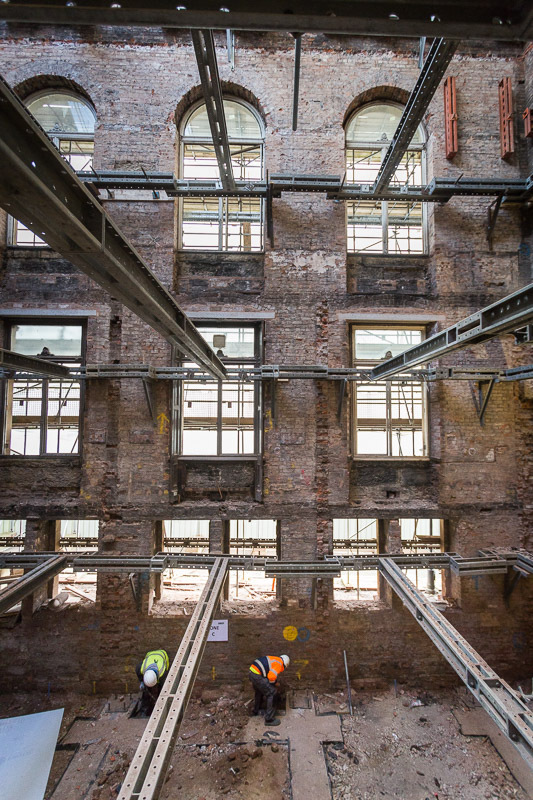 We aimed to capture the internal spaces in the morning and then move outside for the exteriors in the afternoon. 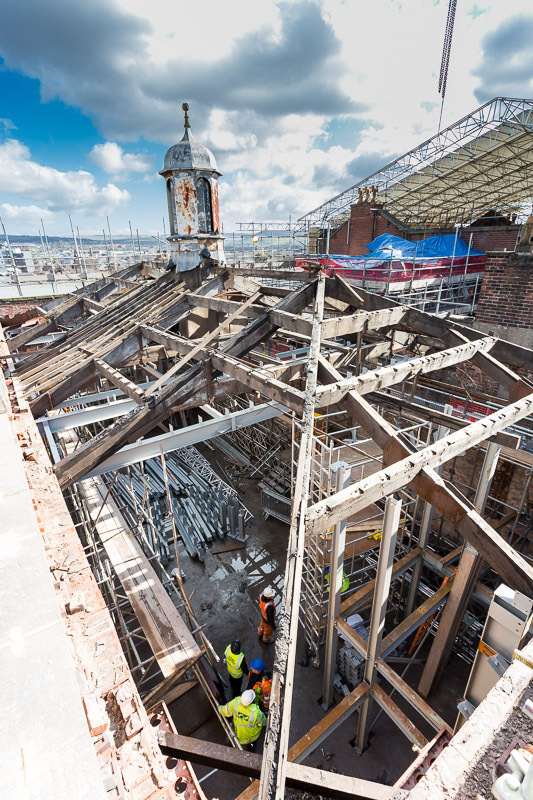 When we first entered the site, it was pretty clear that capturing the bracing was going to be awkward. 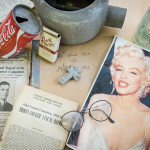 Not that there wasn’t enough of it to photograph, there was almost too much. 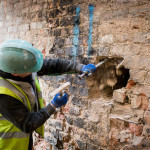 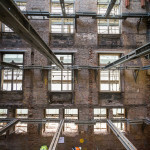 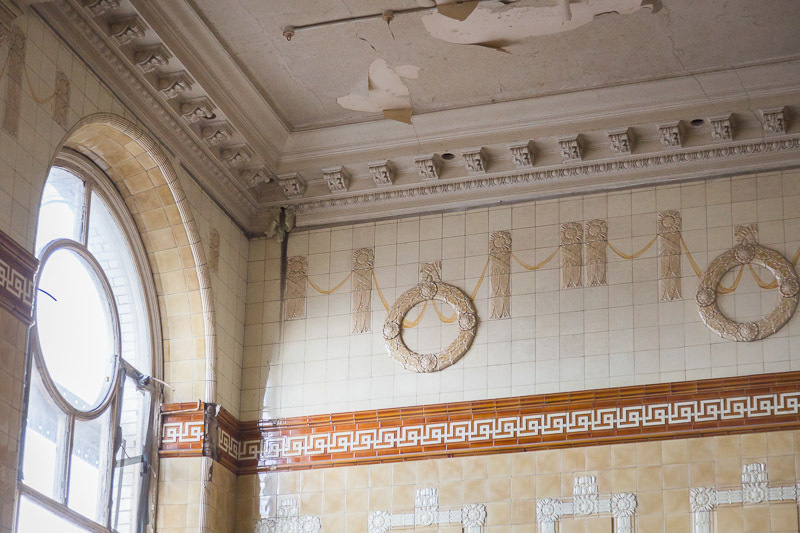 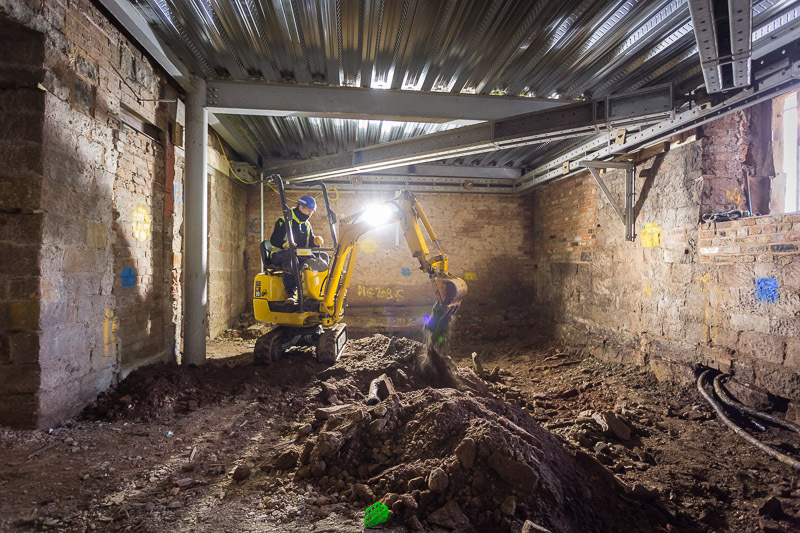 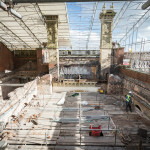 We wanted to show the scale of the task being undertaken and for anyone viewing the images, to be able to get a feeling of the immense space that was being offered by the restoration work. 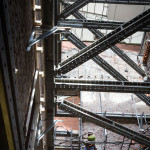 We chose vantage points that placed people in the frame. 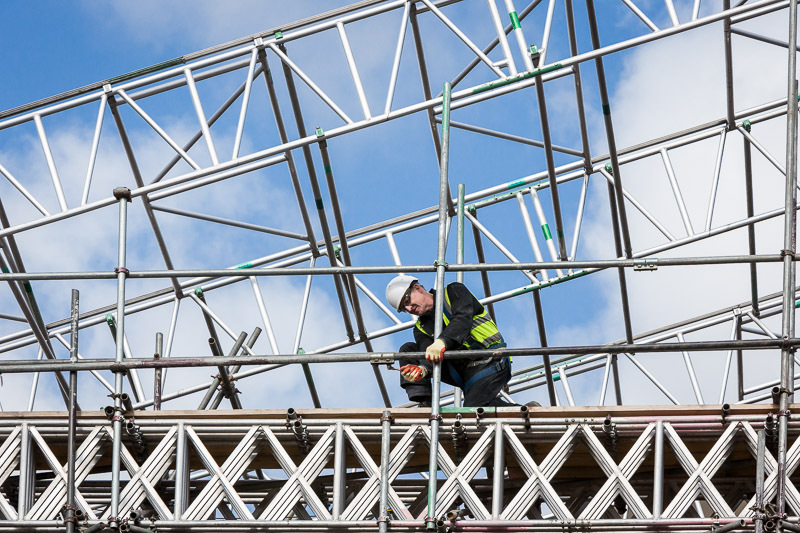 Site workers are ideal, as everyone can imagine how big a person is, but aren’t so good if the object is unfamiliar. 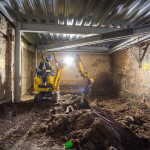 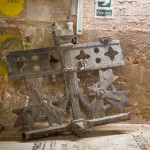 Along the way we stopped to shoot interesting features of the old building, the site workers whilst clearing the site and working had been finding little treasures, which where put into a historical box. 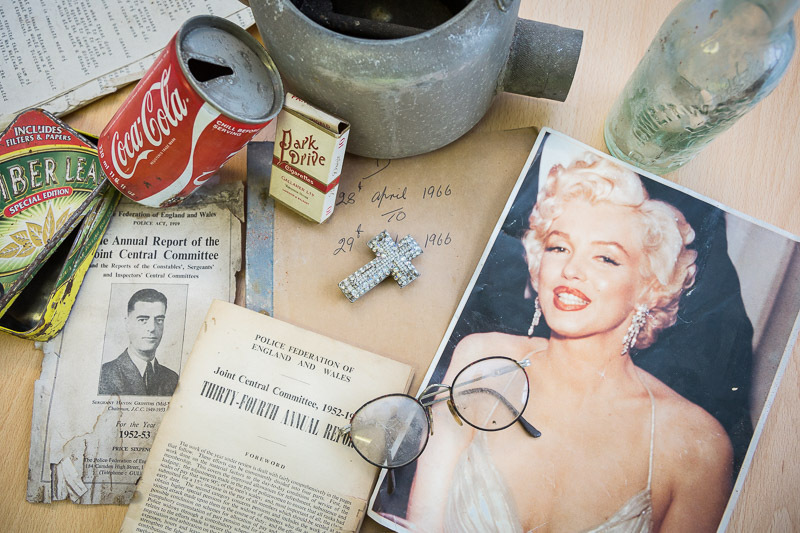 These objects were fascinating and we thought a photograph of the collection would work well to offer a sense of history being un earthed, but not lost. 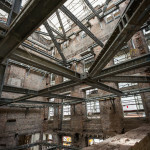 Preservation and restoration in one picture. 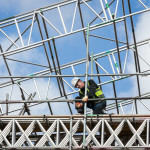 This is a small selection from the final images provided to the client. 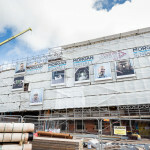 These images are already in circulation, further images from this shoot can be seen by visiting Oldham Council’s website here.